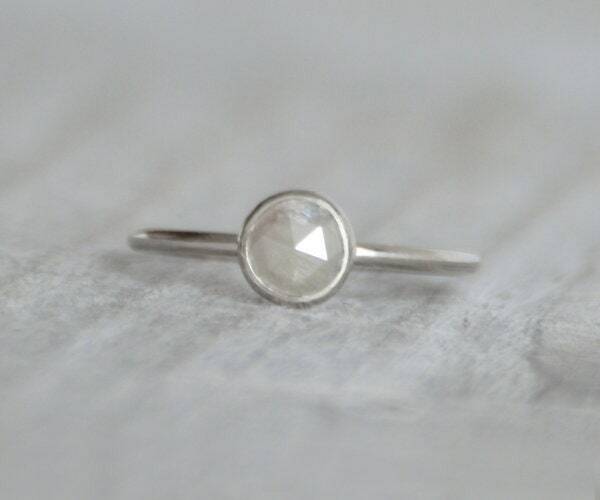 This light grey diamond engagement ring is handmade at my studio in England. It's ready to ship. 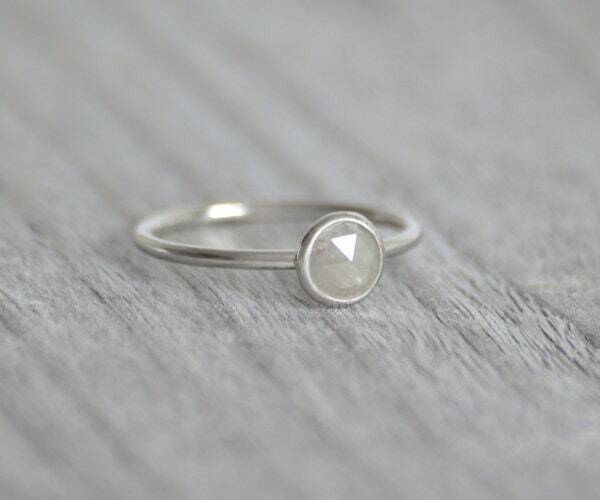 This ring is stackable. 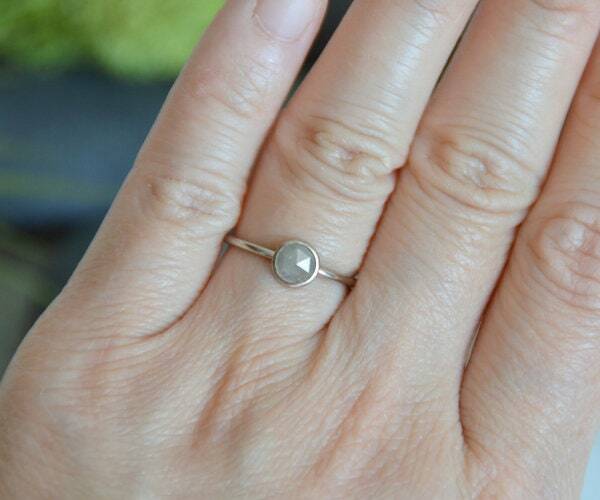 It will look very nice next to any wedding band or on its own.